Stay at the , which, despite its Best Western name, is an impressive bit of local history: One of the oldest hotels in all of Germany, the Rococo building has been a guest house since 1408. 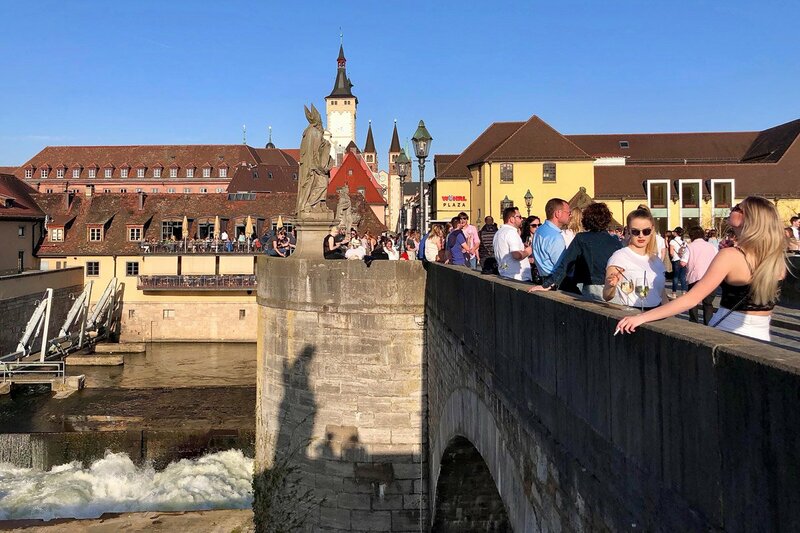 The location couldn't be better: less than a ten-minute walk to Alte Mainbrücke, the pedestrian Old Main Bridge that summons the whole town for an alfresco drink on warm afternoons. This is happy hour at golden hour — and the perfect place to watch the sun go down with students, families, and tourists alike. Head to any bar that surrounds the bridge to borrow a glass that can be refilled and returned at your leisure. 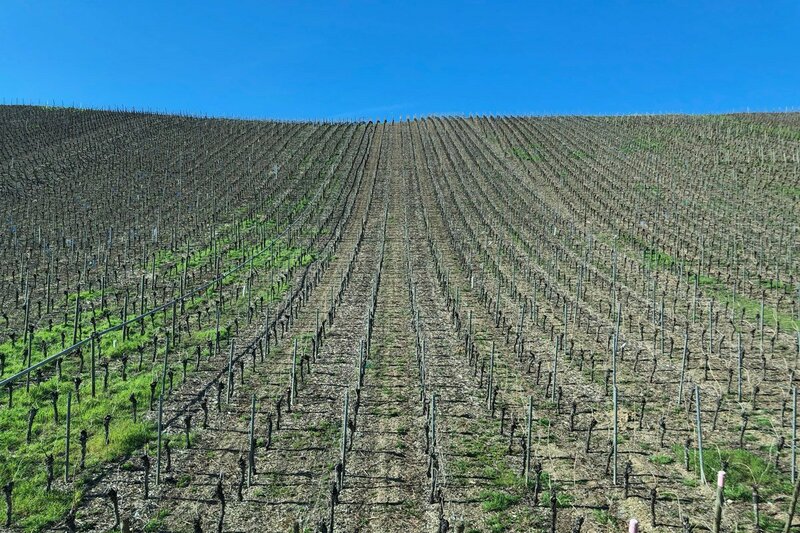 While sipping your silvaner riverside, look around and you'll see vineyards near and far, even covering the slopes leading up to the massive , which dates back to the 8th century. 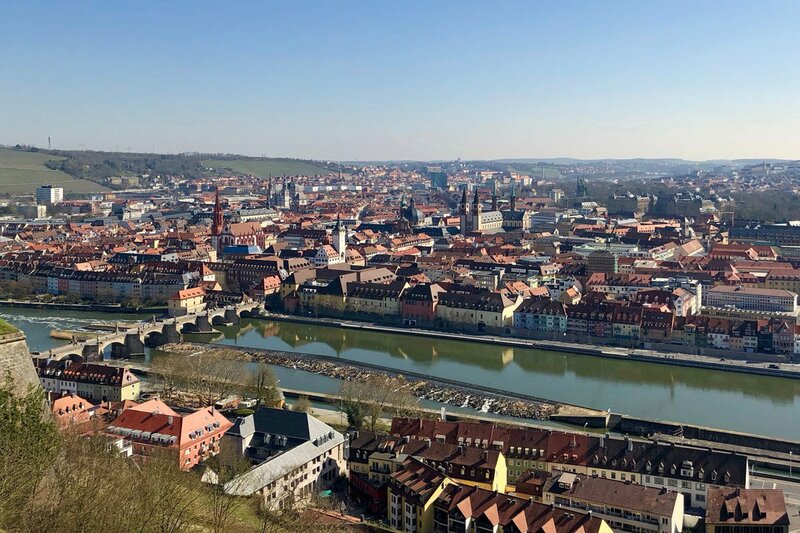 The view from atop the fortress is pretty outstanding, offering an unparalleled panorama of Würzburg from its east-facing garden. But Würzburg's most prized treasure is , a UNESCO World Heritage Site and true architectural masterpiece. Modeled after Versailles, its exterior is a superior example of French chateau style, but its interior mesmerizes with Baroque and Rococo elements, floor-to-ceiling, wall-to-wall. Marvel at the grand staircase, its steps leading you towards the largest ceiling fresco in the world, completed by Venetian master Giovanni Battista Tiepolo. 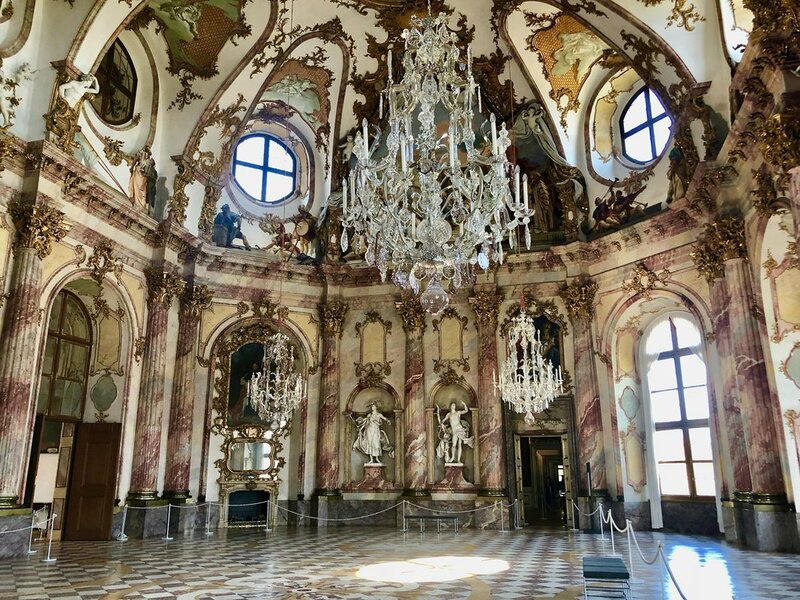 Each room inside the Residenz is overwhelmingly spectacular, but it's underneath this opulent palace where you can find the wine. And that's what we're here for, right? 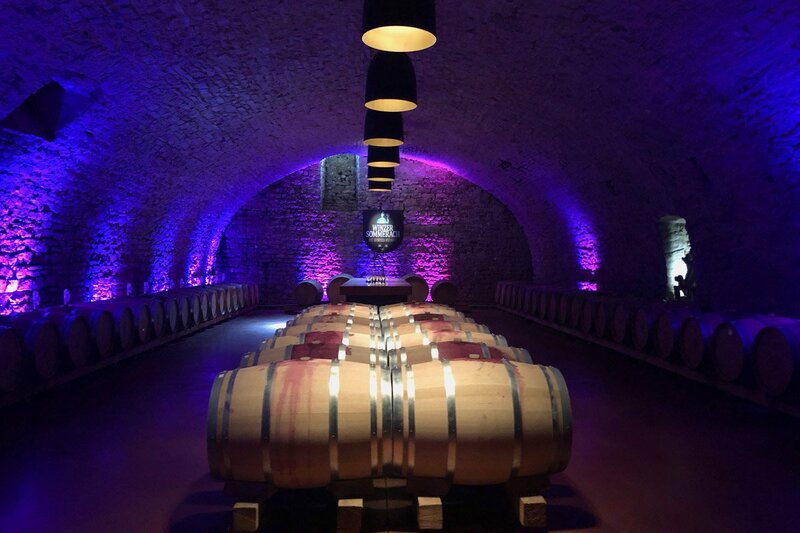 The Prince Bishop's Court Cellar is the world's largest Baroque cellar, built for exclusive use by the prince bishops of Würzburg. 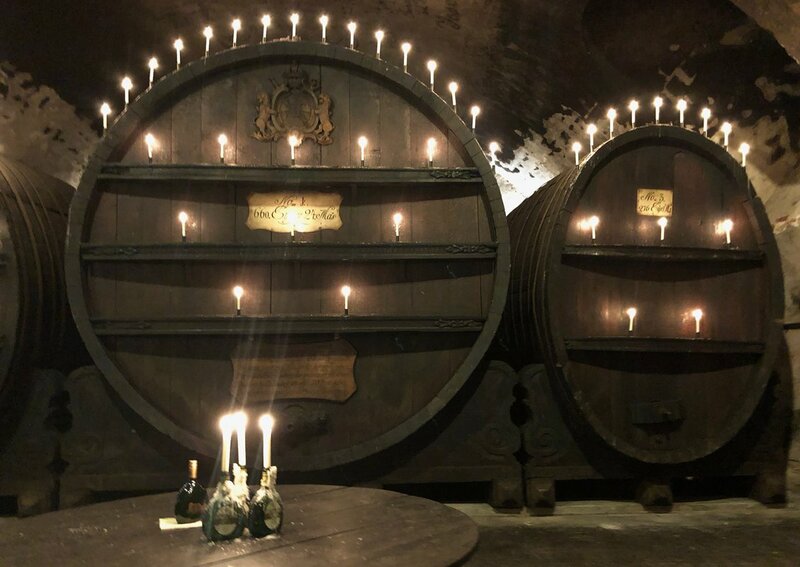 Today, winery organizes tours of the candlelit tunnels that hold massive, 1,200 liter wine barrels, letting you sample a decent variety of local bottles. 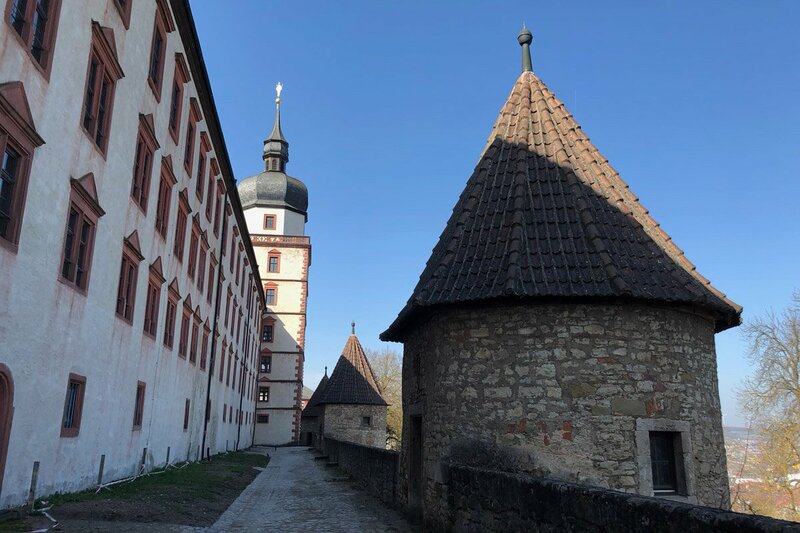 Find out more about Würzburger wine history down the street at , a working hospital and foundation whose operations have been financed by its eponymous winery — the second largest in Germany — since 1573. Tour the Baroque pavilion and gardens before stopping by the wine shop for a bottle or three. Driving through the rolling hills of Franconian wine country, you'll pass vineyards so steep, they're almost pressed up against your car window. Near the town of Volkach is . It's run by second-generation winemaker Daniel Sauer, who declares that some parts of his vineyard are so steep that grape pickers must be harnessed in to do their job. Rainer Sauer produces fantastic silvaner, especially their "L" label, which stands for leidenshaft — "passion." 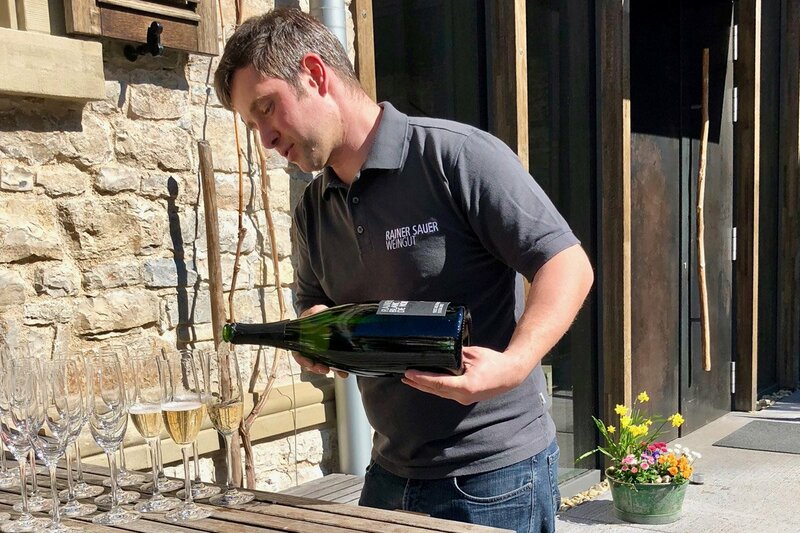 With all this passion for the silvaner grape, Daniel hopes that it one day will have the same reputation and global popularity as riesling. Just over a mile east from Rainer Sauer is . The former monastery is now a stately hilltop hotel and restaurant, and it's a perfect spot for a traditional lunch with views as spectacular as views get. From the sprawling terrace, you'll have the ultimate vista of the Main River loop and the vineyards that swirl into its valley. Many of the wines served at Vogelberg are from Würzburg's Juliusspital. The restaurant's menu couldn't be more Franconian. 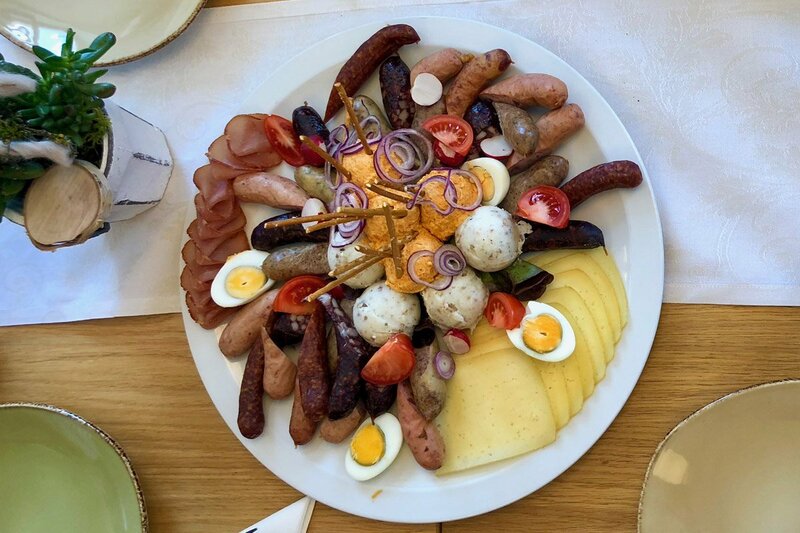 Order the sampling platter, which overflows with house-made liverwurst and sausages, smoked fish, and obatzda, a spiced cheese dip. Next stop: Wine Island, a place you thought only existed in your happy hour dreams. 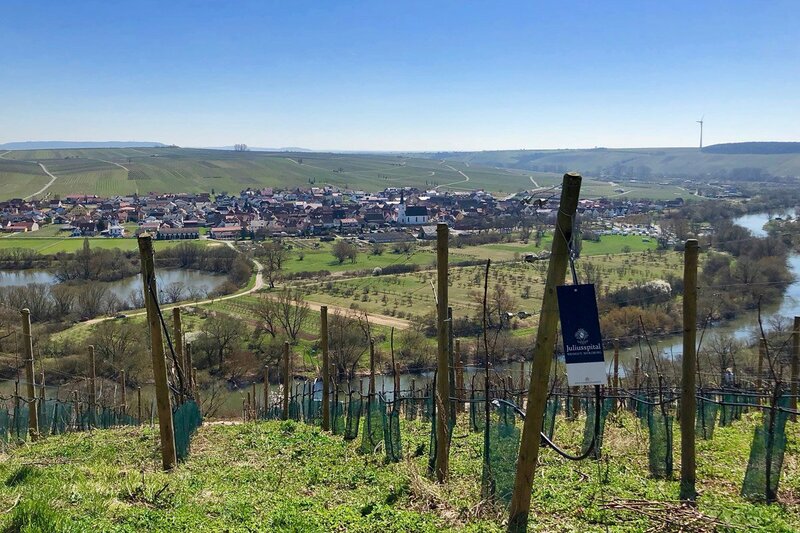 In order to connect the towns of Volkach with Schwarzach am Main, a canal was dug in the 1950s, forming a small island that today is covered in family-owned vineyards, some small enough to occupy just their front yards. Sommerach, one of the island's two towns, is home to , the oldest wine cooperative in Franconia. Founded in 1901, Winzer Sommerach has a current membership of 90 wine-growing families, each contributing the majority of their grape bounty to the co-op. With these grapes, 80 different bottles are produced, including an impressive Domina red and seasonal varietals like the fruity series. Winzer Sommerach also offers cooking classes, which emphasize seasonal local ingredients that pair well with their wines. 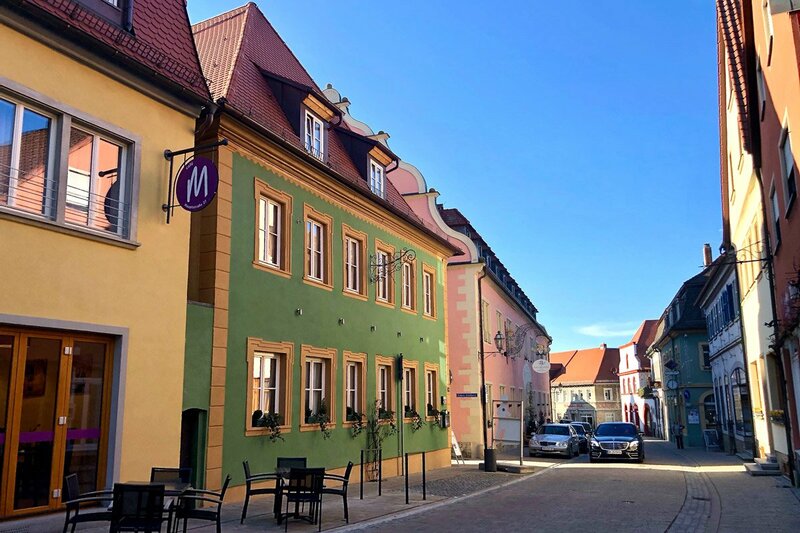 End your wine trail in Volkach, where Gothic half-timbered and Baroque pastel buildings create a fairy tale scene with help from a soundtrack of chirping songbirds. Waltz down cobblestone Hauptstraße to , an award-winning winery and cellar built in 1692 to serve the bishops, whose monastery occupied the top floor. 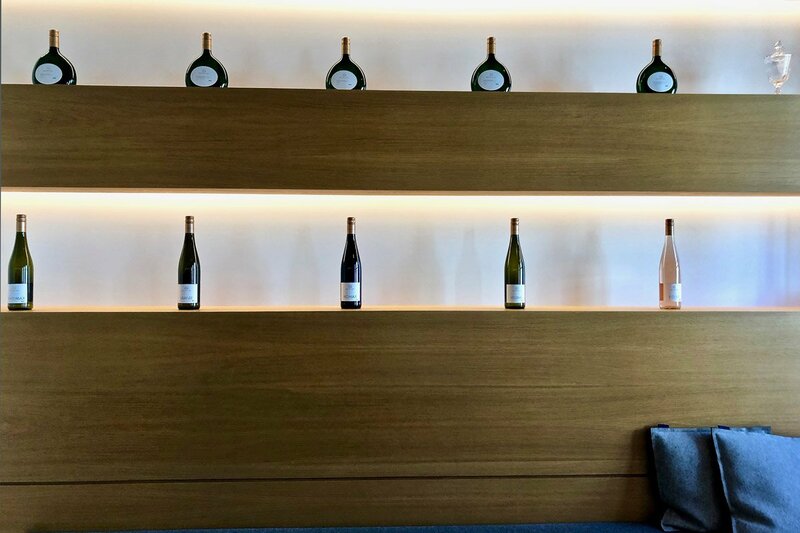 Now run by a fourth generation of Müller family "wine freaks," the winery's interior has been completely revamped into a modern tasting room, event venue, and shop. This contemporary attitude is reflected in their product, too: Many of their wines are sold in the common wine bottle instead of the bocksbeutal and are made using eco-friendly wine-growing practices. Try Maxi Secco Rosé, a bubbly bright pink rosé, or if you're with kids or friends who don't drink, ask for Maxi Trauben Secco, an alcohol-free delight. To fully immerse yourself in the Baroque story of the Margravine Wilhelmine of Bayreuth, try to get your hands on her dramatic memoir, , which helped inspire the modern revival of Artaserse, the opera performed at the reopening of the Margravial Opera House. Paul is a travel writer and marketing specialist. You can follow him on . He travels for the enlightened perspective and evolved palate.